Still no clarity on land or BEE, but Paul Boughey says a number of policies are completed or near completion ahead of the election manifesto launch. The Democratic Alliance may be going into the 2016 local government elections on August 3 with a new-look leadership under Mmusi Maimane, but many of its policies are from the old DA regime and, despite promises, have yet to be updated. Maimane is scheduled to be the main speaker at the launch of the DA’s manifesto at the Rand Stadium in Johannesburg on Saturday April 23. Even though the party hasn’t officially put any numbers to it, local organisers said they were expecting between 15 000 and 20 000 supporters from Gauteng and neighbouring provinces to attend. Party strategist Jonathan Moakes said the main gist of the manifesto would be about stopping corruption, delivering better services, creating jobs and formulating an “honest, responsive government that is accountable, transparent, and that listens and speaks to the people”. There are, however, few fresh policies to take the party there. The policy documents on its web site – on issues such as governance, housing, education, energy and crime and justice – were all drawn up ahead of the 2014 general election battle and are dated December 2013, when Western Cape Premier Helen Zille was still the party’s leader. More recently, the party posted a five-point jobs plan based on its Vision 2029, as well as a plan to reduce the number of government ­ministries from its current unwieldy 35 to 15. At the time of the launch of Vision 2029, Maimane promised to unpack in detail the policies the party would implement to make its vision a reality for when it became the national government. This has not yet happened. At the time the old policies were drawn up, at the end of 2013, there was a bruising debate in the DA about the direction the party should take, especially on black economic empowerment and land. Three years later there is still no clarity from the party about specifics. The DA’s chief executive officer, Paul Boughey, said a number of policies have been completed or are near completion. He included the local government manifesto to be released at the launch – although a manifesto conventionally contains election promises based on policy. Boughey also promised the release of a “fairness paper”, which is “in the final stages of completion”, and the internal local government policy on good practice, which is not on the party’s website. Boughey added that the party’s other policies on “national and provincial level competencies” were only due for revision from mid-2017. 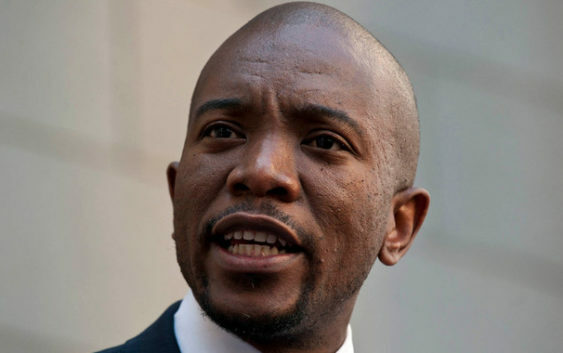 The manifesto launch is expected to be attended by the DA’s mayoral candidates from the municipalities and metros where the party hopes to make large gains, as well as current leaders and Zille, who has been co-opted into the party’s federal executive committee. Former parliamentary leader Lindiwe Mazibuko, author-in-residence at the Stellenbosch Institute for Advanced Study, is expected at the launch.